The decision by Nortel to sell its Long Term Evolution (LTE) patent portfolio could serve as a launch pad for companies planning to cash in on a market expected to undergo explosive growth in the coming years, according to iSuppli. 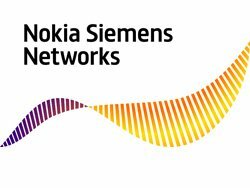 Nokia Siemens and Motorola jointly announced that the companies have entered into an agreement under which Nokia Siemens will acquire the majority of Motorola’s wireless network infrastructure assets for US $1.2 billion in cash. The companies expect to complete closing activities by the end of 2010. Mobile VoIP is no longer just hype, but has become a credible threat to traditional voice revenues, says Frost & Sullivan. According to the research group, an ambitious group of mobile VoIP start-up companies are creating a paradigm shift in the way users communicate with each other, with voice services moving to a true internet era of Telco 2.0. 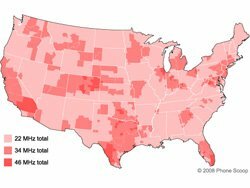 ABI Research has been tracking cities and population coverage for 4G for the past year. The research group reports that at the end of 2009 there were more than 170 802.16e carriers across 65 countries, covering 480 million people. That number is projected to cross the 1 billion mark by 4Q-2012. Motorola has successfully deployed the world’s first indoor over-the-air (OTA) TD-LTE showcase network at the Expo Center at the World Expo 2010 in Shanghai. Together with China Mobile, Motorola is demonstrating end-to-end TD-LTE solutions at the Information and Communication Pavilion at the Shanghai Expo. 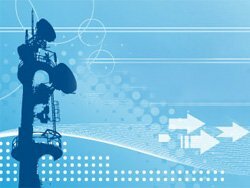 AT&T announced the selection of Alcatel-Lucent and Ericsson as equipment suppliers for the planned deployment of its LTE mobile broadband network. 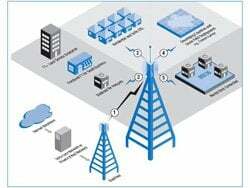 The company is planning a first field trials of LTE later this year. Commercial deployment is scheduled to begin in 2011. LTE, the next-generation mobile broadband standard, is the clear choice for the next leap in wireless technology, reports In-Stat. 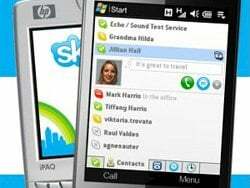 The analysts claim that while WiMax appeared to be a competitor for 4G early on, that battle is now largely resolved.